If you want to own a piece of film history from one of the region's most celebrated directors, now is your chance. Church pews from M. Night Shyamalan's much-anticipated film, "Glass" — the final installment of a trilogy spanning 17 years — are now on sale at Habitat Lehigh Valley ReStore. 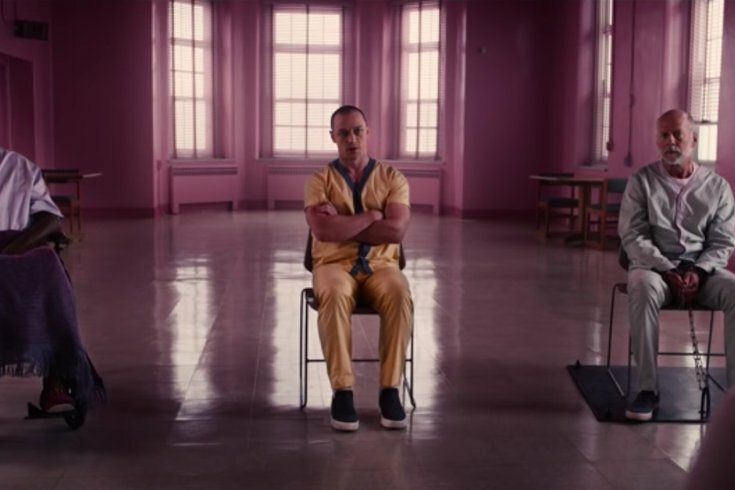 Parts of "Glass," whose plot fuses together "Unbreakable" and "Split," were filmed at the former Allentown State Hospital. Shyamalan also filmed scenes in Philadelphia. Described as a "comic book thriller," "Glass" brings back Bruce Willis, Samuel L. Jackson and James McAvoy to reprise their respective roles as Kevin Wendell Crumb, Elijah Price and David Dunn. The three super villains are being held at a psychiatric institution under the treatment of Sara Paulson, who plays a specialist in charge of patients with supposed superpower delusions. Pews aren't necessarily the most comfortable seating, but they do have plenty of decorative merit. They could be more of a place to collect one's thoughts than to lounge. "Glass" will premiere in the U.S. on Jan. 18. Check out the trailer below.